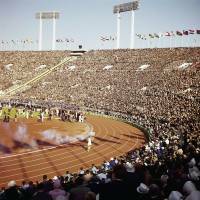 It’s been more than 50 years since Tokyo was awarded the 1964 Summer Olympics, and it was done before several landmark events that shaped the second half of the 20th century. ■ The decision came more than two years before construction of the Berlin Wall began. ■ The decision happened only a month and a half after slugger Sadaharu Oh made his Yomiuri Giants debut, and before he became a quintessential baseball star. ■ The decision was made five years before the Beatles took the United States by storm and revolutionized rock ‘n’ roll as a major cultural force on both sides of the Atlantic Ocean. ■ The decision was announced a little less than two months after the Dalai Lama was granted asylum in India. 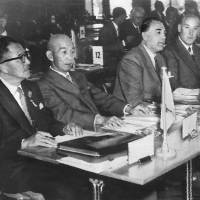 Looking back at the media coverage of the IOC decision, just two weeks before the final vote among candidates Tokyo, Istanbul and Madrid for the 2020 Olympics takes place in Buenos Aires, provides a glimpse of what took place in the buildup to the ’64 Olympics — from media coverage to government policy to venue planning to economic and cultural impact. “A wave of rejoicing swept the nation last night as news was flashed from Munich that Tokyo had been awarded the 1964 Olympic Games,” the lead story in The Japan Times proclaimed. “The fifth ring in the Olympic symbol has been completed. The Olympic Games had finally come to Asia. The vote took place at 11:50 a.m. in Munich (7:50 p.m. in Japan). The story, filed by UPI, added: “The vote, originally scheduled for 5 p.m. (1 a.m. JST) took the Japanese delegation by surprise. None of the 20 members was near the congress building when it was taken. By secret ballot at the 55th IOC Session, Tokyo received 34 of 58 IOC members’ votes on May 26, finishing ahead of Detroit (10), Vienna (nine) and Brussels (five). Tokyo Gov. Ryotaro Azuma captured the excitement shared by many Japanese when he spoke in Munich. “As the governor of Tokyo, I am overwhelmed by joy which I am sure that nine million citizens of Tokyo share with me,” The Japan Times reported. 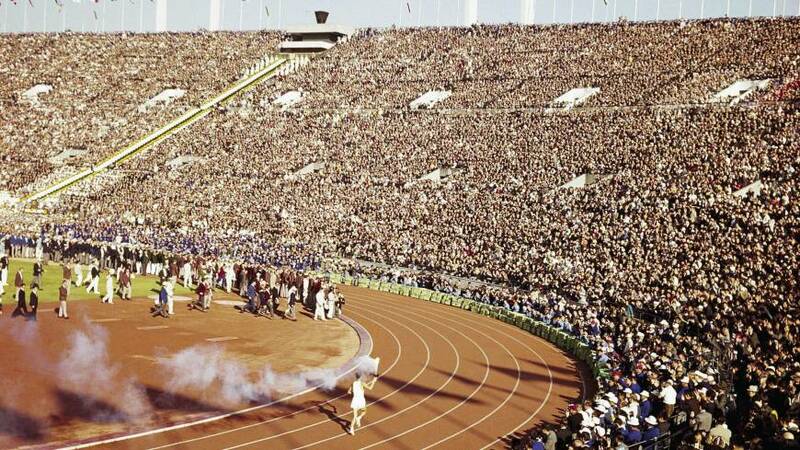 It was no big surprise that the Tokyo bid was the favorite for the 1964 Olympics. Just over a week before the voting took place in Munich, Otto Mayer, the IOC chancellor, told reporters in Rome that more than 50 percent of the IOC’s 64 members had already decided to vote for Tokyo. 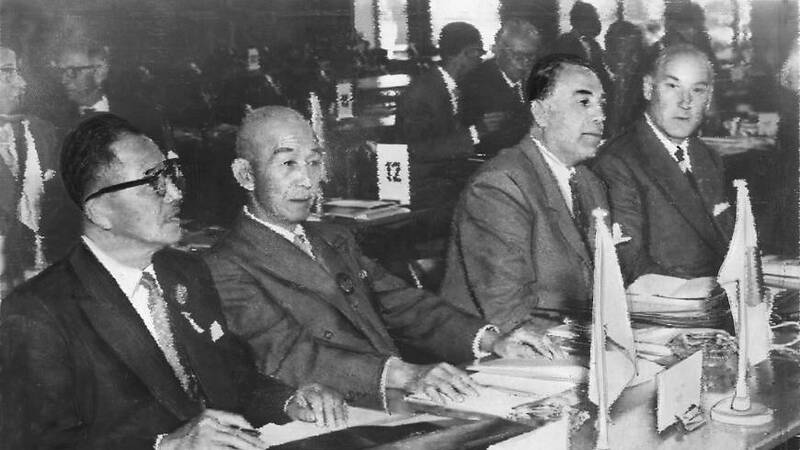 Kazushige Hirasawa, then the editor of The Japan Times and a JOC member, was among Japan’s delegates in Munich. Before the voting was done, Hirasawa read a prepared statement: “Asia is ready to have the Olympic flame burn brightly and proudly on Asian soil for the first time in the long and distinguished history of the Games,” this newspaper reported. 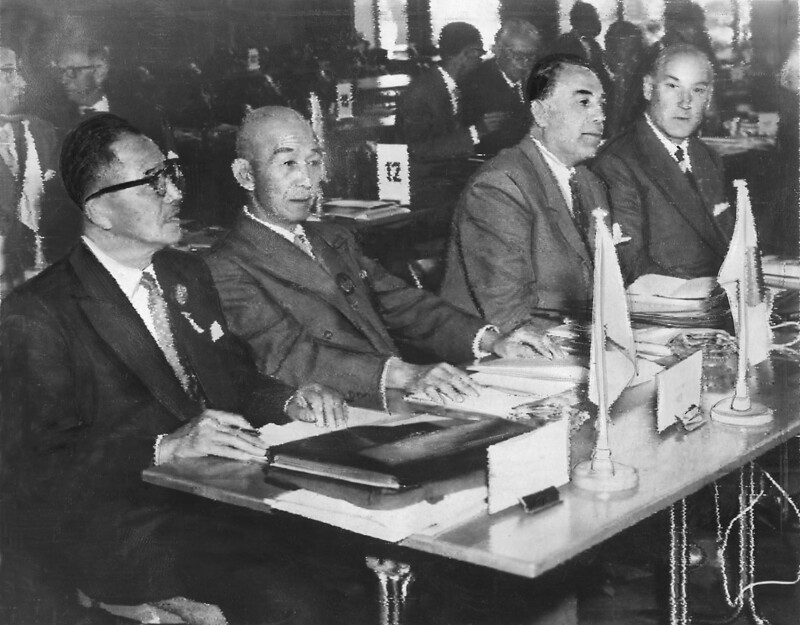 Interestingly enough, when Tokyo was awarded the 1964 Games it was not yet determined when the global sports extravaganza would take place. The Japanese Olympic Committee gave the IOC suggested dates for the summer and fall. On May 1, 1961, The Japan Times focused on the issue in a series of small articles. In a nutshell, Dr. Kinichi Asano, vice president of the Japanese Amateur Athletic Federation, convinced the IAAF that June, the preferred month by many other nations to hold the Olympics, would be too humid in Tokyo. “We had to argue our case against almost every Western country. . . . Western countries protested that this would not give their athletes time to reach their peak of training,” Asano was quoted as saying from a London hotel. To hold the Olympics in October. The IAAF, representing the largest number of athletes (track and field), approved that request. But the matter was then sent to the IOC. Fast forward to late June. The IOC decided to have the Tokyo Olympics from Oct. 9 or 10 to Oct. 25, with a day of rest to follow the Opening Ceremony. Equally significant, the IOC approved a 20-sport program for the 1964 Games, with judo and volleyball being added for the first time. The other 18: canoeing, modern pentathlon, track and field, rowing, basketball, boxing, cycling, fencing, soccer, gymnastics, weight-lifting, field hockey, wrestling, swimming (and diving), equestrian events, shooting, water polo and yachting. Economics has always been a major aspect of the pros and cons of the modern Olympics. Will it cost too much? Will it have a positive legacy for the host city and nation? Will taxpayers bear too great a burden? Those are all questions that have been asked repeatedly over the years. Well, a little more than two years after Tokyo was chosen to host the 1964 Summer Games, a six-paragraph story was buried near the bottom of page five in the Sunday edition of The Japan Times on June 18, 1961. “Tokyo Olympics Set to Be Most Costly Thus Far,” the headline stated. 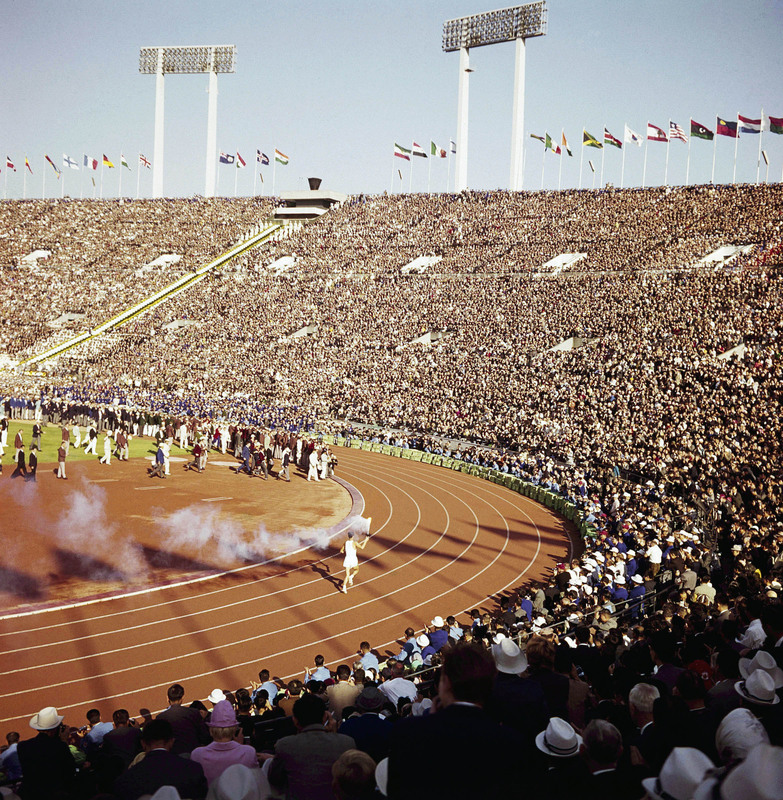 Speaking from Rome, IOC president Avery Brundage revealed that “Japanese organizers had boosted their budget from about $130 million to almost a half a billion dollars.” That price tag, the AP noted, far exceeded the $30 million bill for the 1960 Rome Games. Of the 6,600 athletes expected to compete in Tokyo, that number “will represent 99 nations, and most likely, every ideology, every religion, every philosophical concept known to disturb the mind of man,” SI’s John Underwood wrote. Some things come full circle. Remember that the surname Takeda was synonymous with Tokyo’s successful 1964 Olympic bid. Well, Tsuneyoshi Takeda’s son, Tsunekazu, is the current president of the JOC, a position he has held since 2001. His great-grandfather was Emperor Meiji. During Tsunekazu Takeda’s time in charge, Tokyo fell short in its bid to host the 2016 Games, but the JOC remained committed to the task, along with government and public supporters to try again with a 2020 bid. Weeks before the vote, Takeda summed up his thoughts on the Tokyo bid, which received positive reviews from the IOC’s inspection tem visit in March and the IOC’s 2020 Evaluation Committee report several weeks later. “With such strong technical foundations, we know we can focus on the all important extras that will help to inspire millions of young people and help keep Olympism at the heart of our rapidly changing world,” Takeda said. Tsunekazu Takeda’s words carry a strong message, and the 1964 Tokyo Games, 1972 Sapporo Winter Games and 1998 Nagano Winter Olympics all helped create positive images of Japanese culture for countries from around the world, especially important in the aftermath of World War II. In this current era, Japan has excelled in a number of sports — take baseball, for instance, where New York Yankees outfielder Ichiro Suzuki collected his 4,000th career hit on Wednesday and Texas Rangers hurler Yu Darvish is MLB’s current leader in strikeouts; or figure skating, where Mao Asada and Miki Ando have won women’s world titles in the past decade and Shizuka Arakawa claimed the gold at the 2006 Turin Games; or women’s soccer, where Japan grabbed the Women’s World Cup crown in 2011; or Kei Nishikori’s rise to the top 20 in men’s tennis world rankings; or Kohei Uchimura’s gymnastics exploits, including three straight world championship all-around titles and the 2012 London Games all-around gold. And the list goes on.